Happy Friday! We’re pushing a patch today (view full notes here) that addresses many of the matchmaking issues taking place in Factions mode for The Last of Us Remastered. You should see improved matchmaking all around. It will be rolling out over the next twenty-four hours globally. Look for the update when you turn on your system today. Once we’ve deployed the maps, upon signing into Factions multiplayer, the store will pop up and you’ll be asked to download them for free. Here are the screens you should see. If you’re super excited and want to see how quickly you can get back to playing Factions, the Maps for PS4 are roughly 291 MB, and the patch is about 137 MB. For PS3, patch 1.09 will be approximately 170 MB and the same maps are about 143 MB. Also newly available is our Scoped Weapons Bundle which can be purchased on PlayStation Store for $2.99 right now. 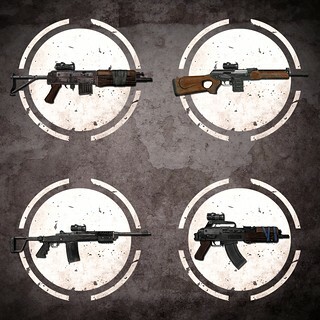 The four new weapons in the bundle are sold individually for $0.99 if you’re more selective about your guns. 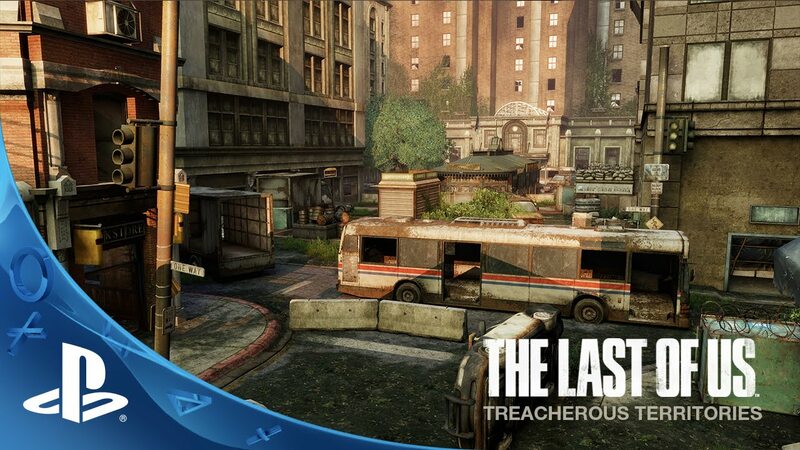 All weapons are available for The Last of Us on BOTH PS3 and PS4. Enjoy the free maps and get geared up with some new weapons and any of our many other The Last of Us Add-Ons such as the Ultimate Head Item Pack — which includes every head item we’ve made to date! Be sure to give us your feedback about the patch and new Add-Ons. Thank you for all the information you’ve given us so far. See you online! Finally, listening to the community about free maps! Thank you for that, and I will buy some more DLC to support you guys for taking this decision! Can’t wait to try the new maps out. Thanks again! Not yet. It’ll be rolling out over the next 24 hours. Check mid-afternoon PST. But about the maps… Well… THANK YOU. GREAT IDEA. And so the improved matchmaking. I may do some more parties on TLOU. I’m sure that’s what wants naughty dog, that’s what I’ll give them. I bought a PS4 only when The Last of Us was released for it. Please keep activity supporting this game over the life cycle of the PS4, I’ll pay for new maps! Thanks for the free ones today!! Yeah, Sony…. $2.99 is sure “free” by your “judgment”. The maps are totally free. No charge. They should be live by mid-afternoon PST. @WTF505 The maps are completely free. The Scoped weapons are paid DLC though. You can also use them for free in pre-set load outs in the game. Thanks ND. :) Keep doing what you’re doing. Awesome! Been waiting for these maps for what feels like forever. Just purchased the Scoped Weapons Bundle as well. Does this mean new trophies? I agree with the first post and am buying the weapons pack to support the developers decision to give the maps for free. This is the way all dlc maps should be on all mp games so as to not split the community. I am happy to pay for any weapons pack or cosmetic upgrades, but the maps being free is the way to go. Thanks for this! Maps looking good as usual. For Uncharted 4’s MP, please release all the DLC maps for free so that the player base isn’t split. Also, I’m fine with microtransactions for cosmetic items but please don’t make us pay for extra weapons as it’ll either make the game imbalanced (you make the weapons better to entice people to buy them) or make the purchasers angry (if the weapons aren’t more powerful). Non-cosmetic content should be free. Speaking as someone who bought the season pass on PS3, I think it would be nice for Naughty Dog to make all the previous maps free to non season pass holders. At this point (and speaking obviously just for myself here), I wouldn’t be complaining about other people getting stuff I paid for, I’d be rejoicing that the playerbase on last gen was being consolidated. Anyone late to the party on this game is going to pick up the PS4 version anyway. Just something to consider guys. Thanks for adding these for free. However, all DLC should be free for the people who have bought A) PS3 copy for $60 B) PS3 season pass for $20 AND B) PS4 copy for $50. That is $130 invested. $80 of it which is worthless because I own the PS4 version now. I bought all of them digitally and can not trade in the old ones. 60 hats for 30 bucks: it’s a steal!! Thank you Naughty Dog for this groundbreaking MP. That would be sarcasm, not irony. Good way to show everyone here your 3rd grade education. Cosmetic stuff is always, always has been, and always will be expensive in multiplayer games. The important thing is these maps are free. Now this is what I’m talking about there’s a problem with the game & NaughtyDog gets on the problem ASAP. To the rest of the developers out there this is how you do it lalalalalalalal this how you do it!!!!!!!!! Awesome can’t wait to play on the beach. I bought a mask with some left over credit I had and like the idea to add more variety to our characters. 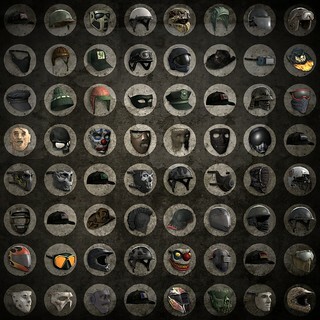 I personally would love to see hotline Miami mask in there. The patch and maps are up now in Cali. Just a huge huge HUGE thank you to Naughty Dog for restoring my faith that GOOD developers are still out there and still know how to run a business with compassion. T E N M O N T H S now… and DICE / EA have not done ONE thing, NOTHING, to show their customers that they are sorry that the game hasn’t been fixed yet. They have attempted with patches, but after failing for 10 months..customers deserve more. But they gave not one discount on DLC, not 1 free map, nothing like that. They continued to sell DLC at full price like there was nothing wrong or no real apology to be made. Can’t wait for the new DLC too.. that is when I’ll be buying this game again for PS4. I hope that DLC will be a part of the “season pass” that fans bought for the PS3 game.. but I wont sweat it either way when ND has already given us free maps.. and they have a history of doing it too with the awesome Uncharted games. What a good way to celebrate 30 years than by showing the game industry who’s #1… and showin em by example. this is good :).. are you guys planning on releasing a patch to be able to pick race,gender, and clothes? Ever I installed the new patch, I can’t access the new maps on the PSN store. It just says To connect to Factions you must download some FREE map content. I click ok and it shows me trying to connect to the PSN store followed by This content cannot be selected at this time. I have a feeling this is due to me living in Australia. I know this is the US forums but it’s the first hit on Google. Cheers. After the shame that it was releasing DLC outside the season pass….free maps was the least you could do….will TRY TO TRY them out. Havent Played TLOU online since new years looking forward to seeing if the issues i had 9 months ago are fixed. I really like online but was unplayable. If it works ill be getting the $13 map pack. When i try to enter factions mode it says download free maps iclick download it says error the funds could not be added to your wallet??? So i cant play factions at all ._. Anyone have this problem??????? Same here as well!! Another great update from Sony!! The same issue. FIX IT PLEASE!!! This might be a dumb question, but i’ve seen people wearing hoods. Where can i get the hood? @38: Not a dumb question at all. If you’re a hunter and don’t have a hat selected, your character will sometimes randomly wear a hood. Did the shorty get nerfed? Seemed like it was taking more shots to put people down today. Or maybe I was just having lag issues on my end. Reinstall the game not fix the problem. I cant play factions because like the comments above i cant download the new maps. I also payed for some cosmetic dlc i cant acces. Bought this game again after the ps3 version to play factions only, and now i cant even do that. Good job naughty dog. PS4 version working fine for me. Got a chance to try out the Beach map. Fantastic map at a great price… FREE! While I’d be willing to pay for extra maps, I hate the way paid maps divide the online community. Can’t play factions now. Please try and fix this by the end of today. I’m having the same problem. Says “This service is currently undergoing maintenance”. Fix this already!! I want to play factions!